A new garden is a major investment and to maximise that investment it’s best to call in the professionals. We look at the benefits of working with an experienced landscape designer and showcase 10 stunning gardens of diverse styles to show just what’s possible. Another topic we delve into is outdoor heating. This can be integrated into the design of an outdoor kitchen, deck or balcony and is an essential element for any space you intend to use in the chillier months, especially if outdoor dining or entertaining is on the agenda. 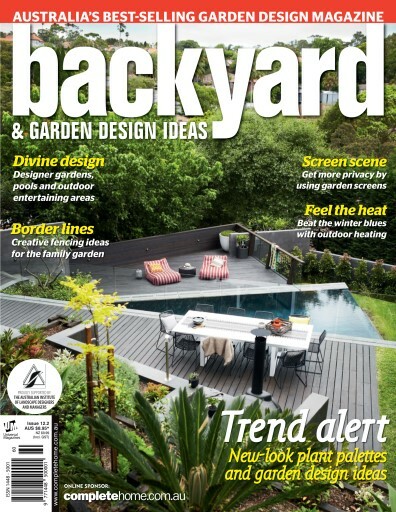 In other features, we present some clever ideas for using plant colour, both flowers and foliage; explore the latest looks and trends in garden fencing and decorative outdoor screening; and reveal some of the most up-to-the-minute design trends to keep you abreast of what’s in and what’s not in Australian garden design.